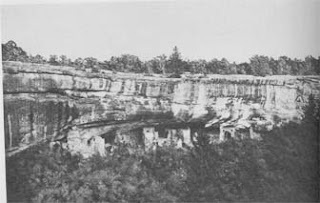 Cliff Palace as seen by Richard Wetherill and Charlie Mason in 1888. 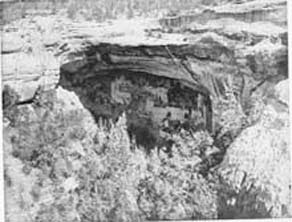 After the Cowboys discovered Cliff Palace, they used their winter camp in the Mancos Valley as a base from which to explore the canyon close to their initial discovery (later to be called Cliff Canyon). The mesa above Cliff Canyon. From this vantage point, the cowboys looked across to the ancient ruins. Over the next two months, Wetherill, Mason and cowboys from the Alamo ranch dug through the ruins collecting artifacts, some of which they sold to a museum in Denver for $3000.00. (The artifacts helped launch the newly established Denver Historical Society museum) Other artifacts were kept in a barn on the Alamo ranch. Below are some of the artifacts found by the cowboys from the Alamo Ranch. Baskets made from the fiber of the yucca plant. The Yucca plant served many purposes in the Ancestral Puebloan culture. Clay bowls with a distinctive design. Regardless of the monetary value of the artifacts in the ruins, the Wetherills, owners of the Alamo Ranch, understood the archaeological and historical value the ruins had to Colorado and to the nation. Richard Wetherill wrote to the directors of the Smithsonian and Harvard’s Peabody Museum requesting that these institutions sponsor him and his brothers or at least send their own specialists to work with them to excavate the cliff dwellings. Neither museum offered financial assistance or a team of professionals to help in excavating the ruins. 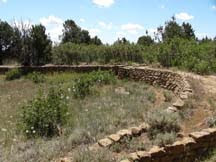 Without outside help, the ruins would continue their march into obscurity; the Wetherills could not take the time away from ranching to explore further the ruins of Cliff Canyon. 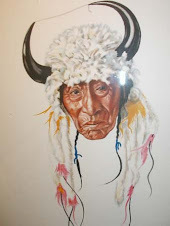 Not until Gustaf Nordenskiold from Sweden, an adventurer of sorts, heard about the cliff dwellings in the American Southwest, did Cliff Canyon and the Anasazi people get attention from the scientific community. 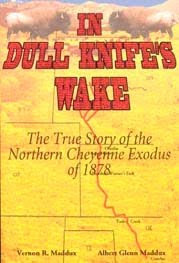 In 1891, Nordenskiold made the long journey to America, crossed the continent on the newly established Santa Fe line to Durango, and forty miles by buggy to the Alamo ranch to meet with the Wetherill family. 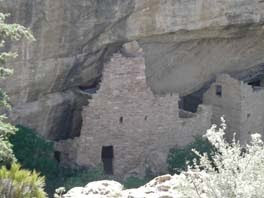 The family introduced Nordenskiold to the Cliff Dwellings, all of which were which named by the Wetherill family. 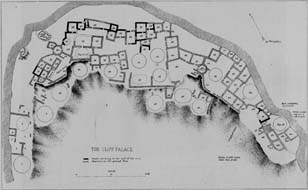 The most impressive of the dwelling complex being Cliff Palace, Spruce Tree House, Square Tower House, Mug House and Sandal House. In all, the Wetherills counted 182 cliff dwellings. Today, the count is 600. 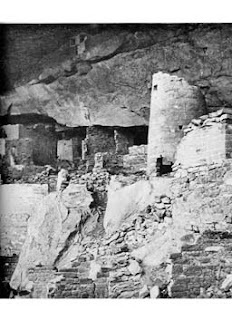 After spending several years exploring the cliff dwellings and its artifacts, Nordenskiold wrote The Cliff Dwellers of the Mesa Verde, where he detailed each dwelling and the artifacts found at the different locations. 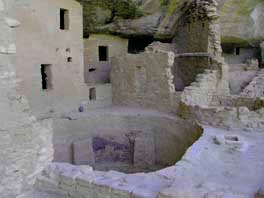 Typically, in each of the complexes, small rooms were built around a kiva; some rooms had access to the kiva by tunnels. They also constructed a small opening adjunct to the kiva called a sipapu, which symbolized the entrance to the underworld or mother earth. In most kivas there are stone benches, and an area that appears to be a fire pit. 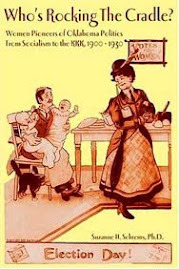 There are different theories on the use of the kiva. The most popular thought is that the round recessed circular room was used for religious purposes, and most likely as a place for social gatherings. At Cliff House complex, there are 23 kivas. 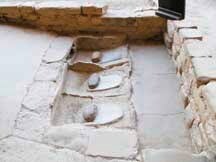 There are also areas in the dwelling complex, where grain was ground in order to make flour that they used for multiple food preparations. The Kiva was important in the construction of the below ground pithouse. 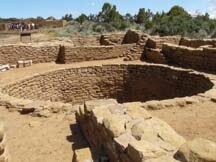 When they move to above ground living, the kiva became the only below ground element of their culture that transferred to Ancestral Puebloan culture. 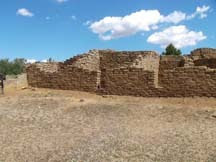 Drying racks line the walls of the kiva at the Far View Site, which indicates multiple uses of this kiva. Agriculture land was on the top of the mesas. Archeologists are still trying to determine the canal system that ran from the reservoir in the picture below to the farming fields. 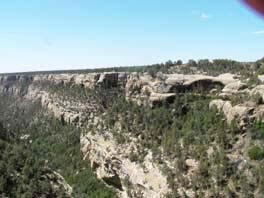 The National Park Service designation this reservoir, along with four others in Mesa Verde as a National Historic Civil Engineering Landmark. 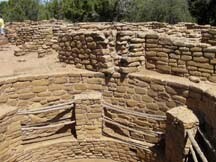 The water management system developed by the Anasazi people is one of the oldest engineered public works in the United States. 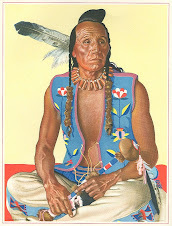 The Anasazi people grew three staple crops--corn, beans and squash all in the same field. The tall corn became a pole or sorts for the beans and the shade from the tall corn stalks protected the squash. They over produced, storing grain for the years of drought when rain or snow was not plentiful enough to sustain a crop. The golden age of the Anasazi was between 1100-1300 AD. During this period they constructed houses with larger rooms, more complex attached buildings that could accommodate 1000 people. Their villages were spread out over many miles stretching across the mesas. 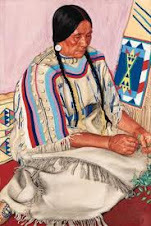 During this era, the Anasazi demonstrated improved craftsmanship in masonry, pottery, weaving and jewelry. The evidence seems to indicate that all was well with the people who thrived on the mesa tops, but then they abandoned their above ground life to return to the caves and started engineering buildings along the cliffs. 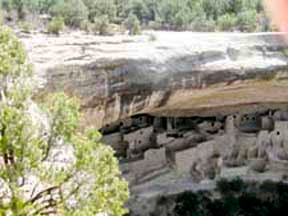 They used the same techniques that they mastered on the mesa tops; stone masonry buildings that fit under the rock umbrella perturbing out from the canyon walls. 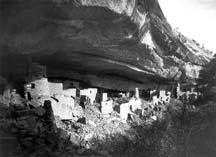 Archaeologists and historians do not know why the Anasazi people left their prosperous villages and sought shelter along the canyon walls. One plausible explanation is that the canyons offered a defensible and secure location. Climate may also have been a reason for the move. Winter could be harsh on the mesa tops; the cliff dwellings offered a warmer environment. Note the black soot on the back wall of the canyon. They constructed most of the structures with at least 3 to 4 ft. clearance from the wall. Evidence shows that they built their fires behind these structures. With small openings at the back of their rooms, the heat from the fires would penetrate their living quarters giving them a warmer environment. 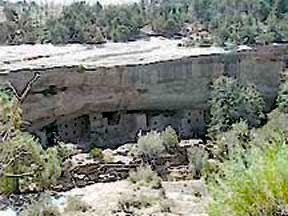 The cliff dwellers still farmed on the mesas above and near some of their dwelling under the rock outcropping. At Spruce House complex, there is also a spring at the bottom of the canyon, which offered a water supply. The inhabitants of the cliff dwellings only stayed under the protective rock for a couple of generations. By 1300, they were gone from the mesa. 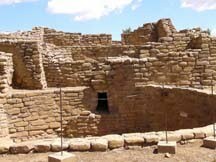 It is not known where the people migrated to, but most recent scholarship indicates that they are the ancestors of the Pueblo people. The most logical reason for their migration south would be climate change. A drought settled over the mesa region from 1272 to 1299, a long time to go with out a reliable food source. Also, years of farming on the mesa would have depleted the soil of nutrients to successfully grow crops and deforesting the land would cause erosion; the people had to move on to new fresh land where there was ample moisture to sustain life and agriculture. 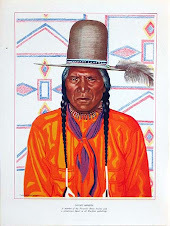 It is most probable that the hunter gathers, the Basket weavers, the Cliff Dwellers and the Anasazi people are the ancestors of the Pueblo people, who today live in the American Southwest.